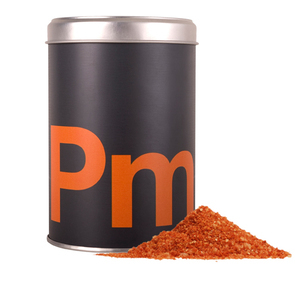 Natural sea salt and smoked paprika. Recommended for rice, meat, fish, pickles, stews. Smoked paprika is a product with a powerfull aroma and an intense sheen. It is a very strong colouring agent. 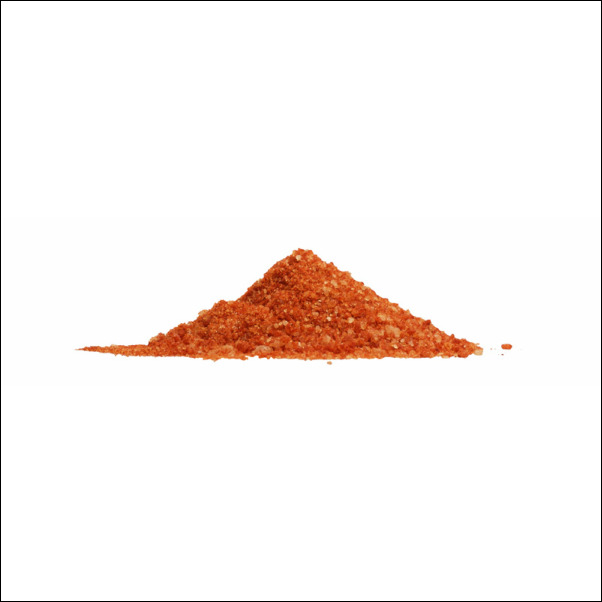 It may naturally clot together as it does not contain anticlotting agents. We recommend you shake it. 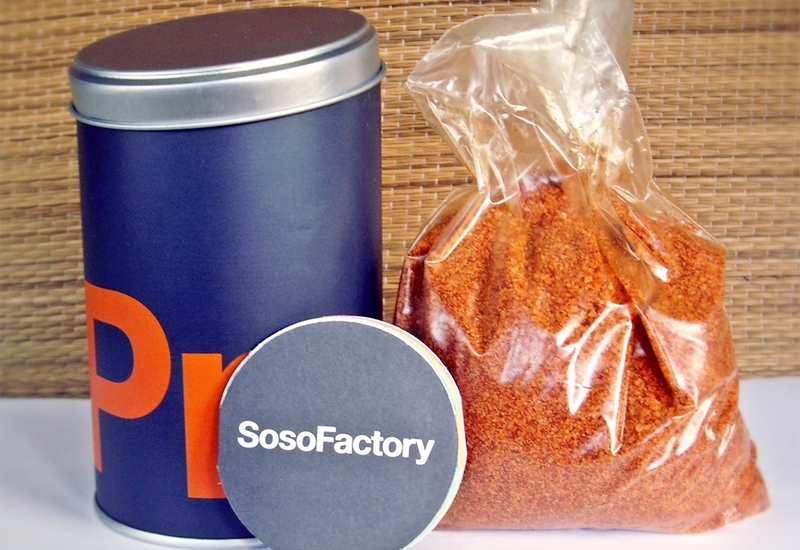 SOSO Factory has taken gourmet quality sea salt from the lake of San Pedro along Spanish mediterranean sea and combined it with some of the finest spices available. 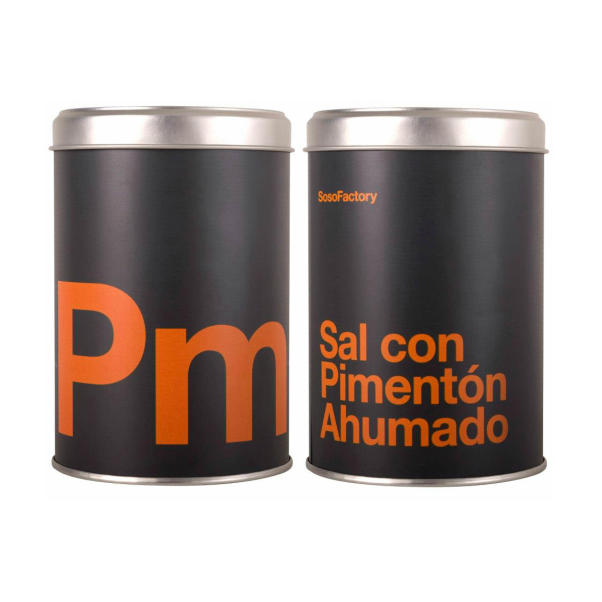 Great for adding flavor to all your recipes and wonderful used in rice dishes, for fish and on the barbecue. Choose from Salt with Smoked Spanish Paprika, Barbecue seasoning, Arabic Seasoning, Mediterranean Spices or Five Pepper. The salts are all natural and made with only the finest quality ingredients.